Well, this dinner was easy. 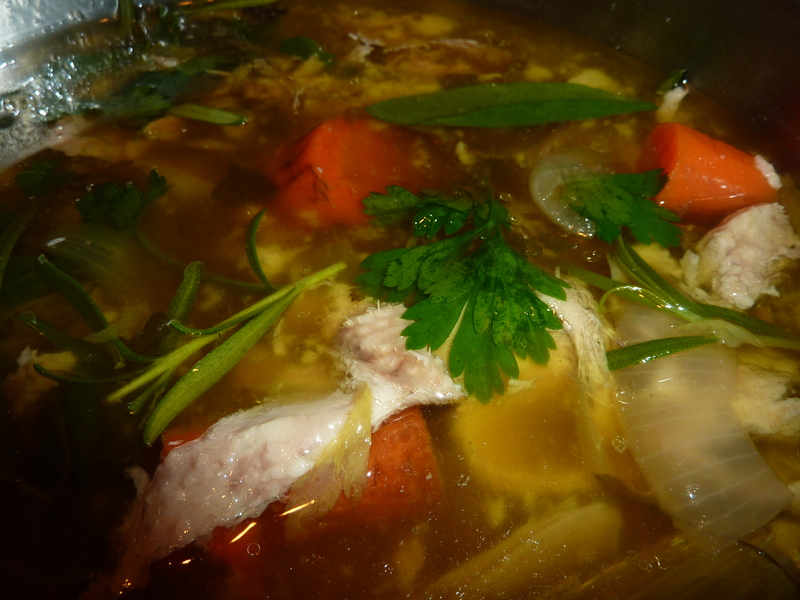 Always make turkey stock even if you are too tired. Always wrap up that extra breast or leg and freeze. 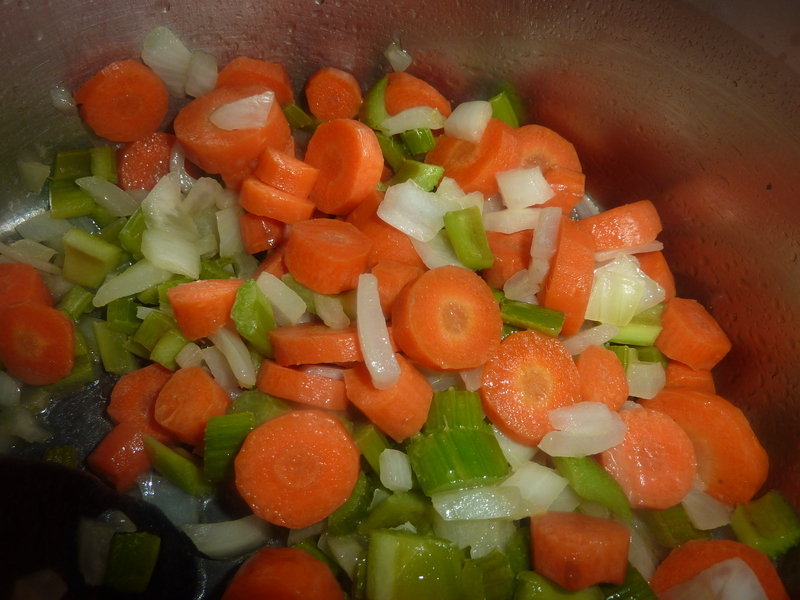 So the delicious dinner was just cutting some onions, carrots and celery. 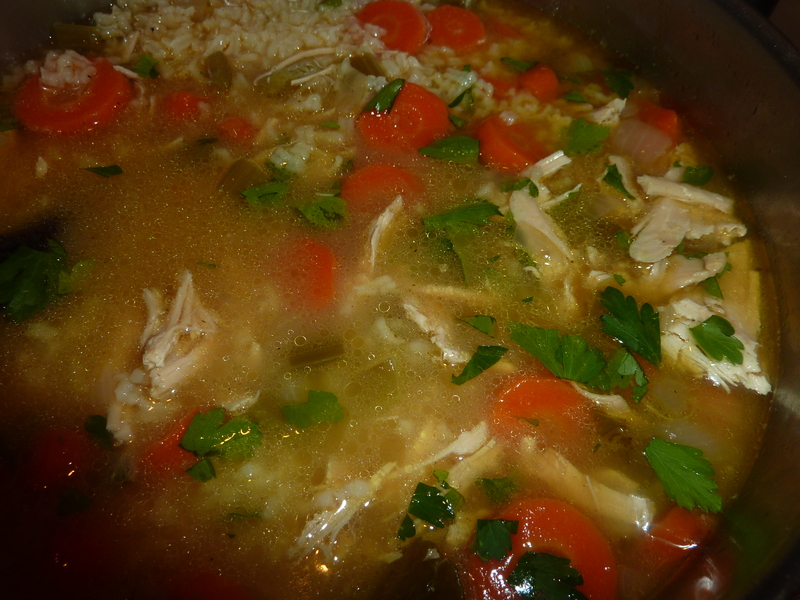 I did put in extra celery and carrots because that is what my mother said to do. * You could add 1-2 C. addl. 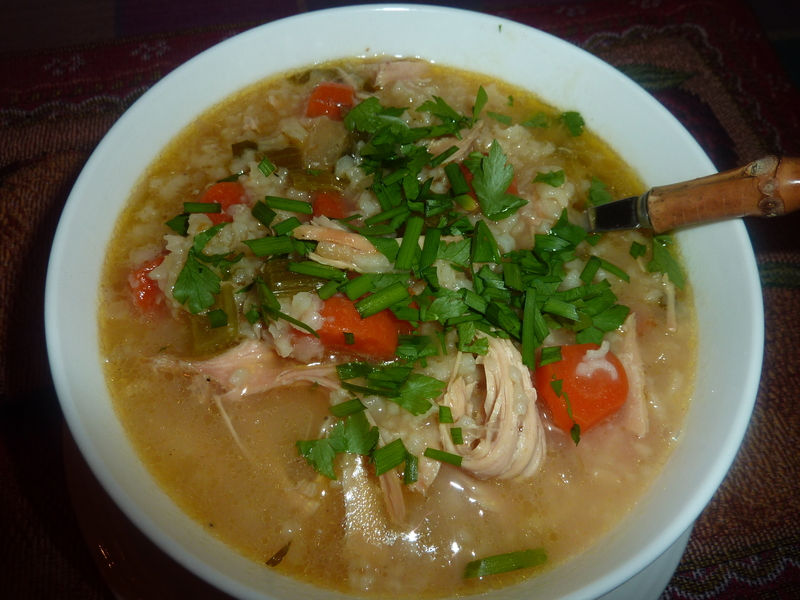 stock; I prefer this soup very thick.